Penrith is a suburb and major centre in the metropolitan area of Sydney, New South Wales, Australia. Start off your visit on the 5th (Tue): examine the collection at Museum of Fire, take in the exciting artwork at Penrith Regional Gallery, then have some family-friendly fun at iFLY Downunder, and finally get curious at Penrith Museum of Printing. To see other places to visit, ratings, traveler tips, and tourist information, go to the Penrith trip itinerary maker app . Sao Paulo, Brazil to Penrith is an approximately 26-hour flight. The time zone difference when traveling from Sao Paulo to Penrith is 13 hours. Expect little chillier evenings in Penrith when traveling from Sao Paulo in November, with lows around 17°C. Cap off your sightseeing on the 5th (Tue) early enough to travel to Manly. Let the collections at Manly Art Gallery and Museum and Aboriginal Fine Art and Craft capture your imagination. Your cultural itinerary includes sights like Barrenjoey Lighthouse and Vaucluse House. Explore Manly's surroundings by going to Whale Beach (in Whale Beach) and Baha'i House of Worship (in Ingleside). 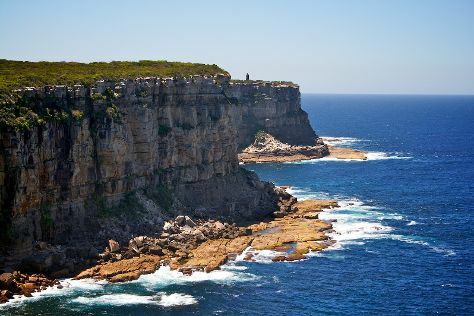 There's still lots to do: look for all kinds of wild species at North Head Sanctuary, get up close to creatures of the deep with a dolphin and whale watching tour, tour the pleasant surroundings at Nielsen Park, and enjoy the sea views from Macquarie Lighthouse. To find reviews, photos, ratings, and tourist information, read our Manly trip maker site . Traveling by car from Penrith to Manly takes 1.5 hours. Traveling from Penrith in November, expect nights in Manly to be about the same, around 19°C, while days are a bit cooler, around 29°C. You will have some time to spend on the 9th (Sat) before leaving for home.